Upgrade Complete! See the new Wearable War Machine Suit Costume! 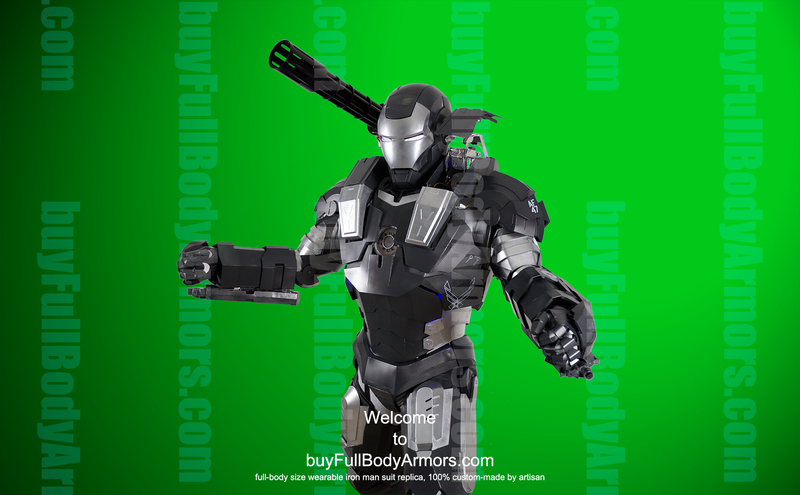 In the last month, we were making some final upgrades for the wearable War Machine Suit costume so as to improve the overall performance, sustainability and wearability of this new armor. Shoulder-Chest Supporting Structure - this new supporting structure cost us around 3 weeks to make it strong enough, yet light weight, to hold and support all the loads mounted on it. 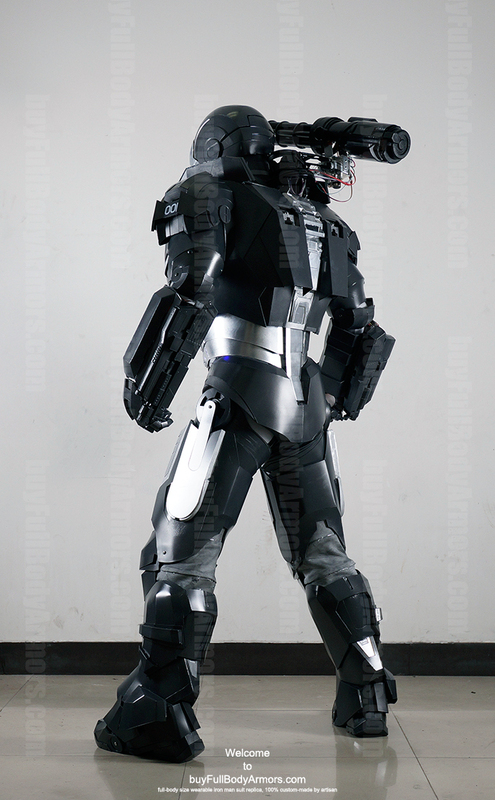 These include the M134 Mini-gun mounted on the shoulder back, the Ex-wife Missile housed in the left shoulder pack, the Central Electronic System (CES) housed in the right shoulder pack, the motorized back wing flaps and the CO2 powered propulsion simulator housed in the back. 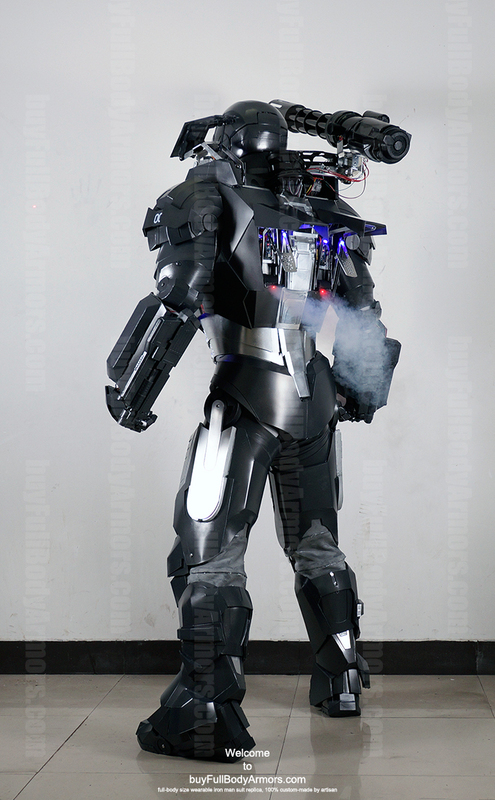 Control System - we added a new button control set on the right and left thigh armor to be a back-up when other control system is a malfunction. We killed the finger gesture control because it continually failed in our sustainability and stress test. We still keep the voice control as the primary control system. Relocation and Configuration of Electronic System - we integrated all the electronic chips and boards and accessory modules as the Central Electronic System (CES) and compressed their weight and volume up to about 20%. 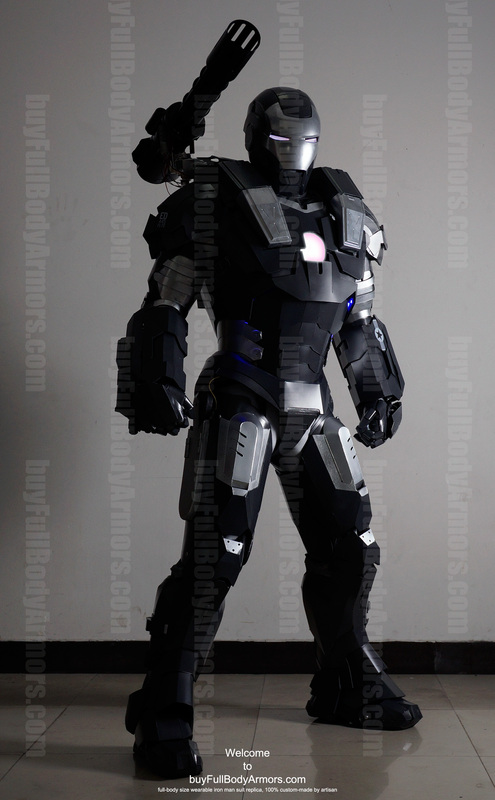 And we designed a framework to organize them like blade servers and relocated them into the right shoulder pack to allow for a more comfortable wearing experience. 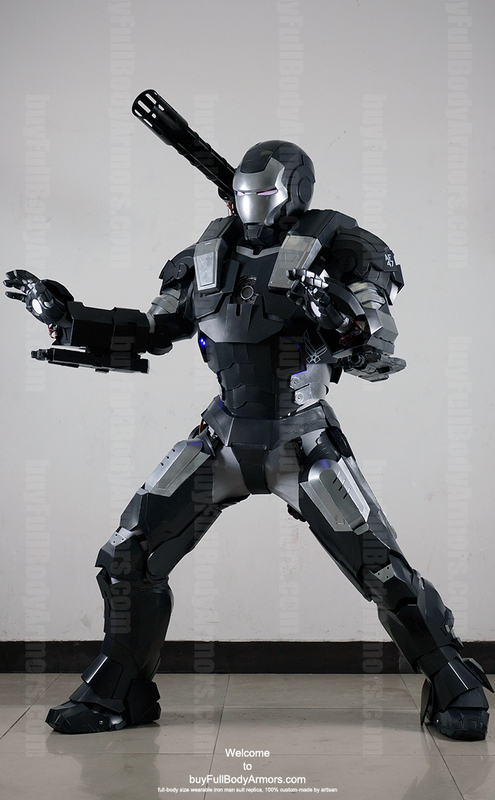 New Surface Treatment and New Painting - we adjusted the paint color and use new metal primer and color paint to make the overall look and feel of the wearable War Machine suit more metallic and more like that in the movie. Measurement Charts - we added about 10 new measurement fields to ensure you get the best fit for this suit. And we rebuilt the webpage of the ordering process to hold more add-on contents and give better user experience. 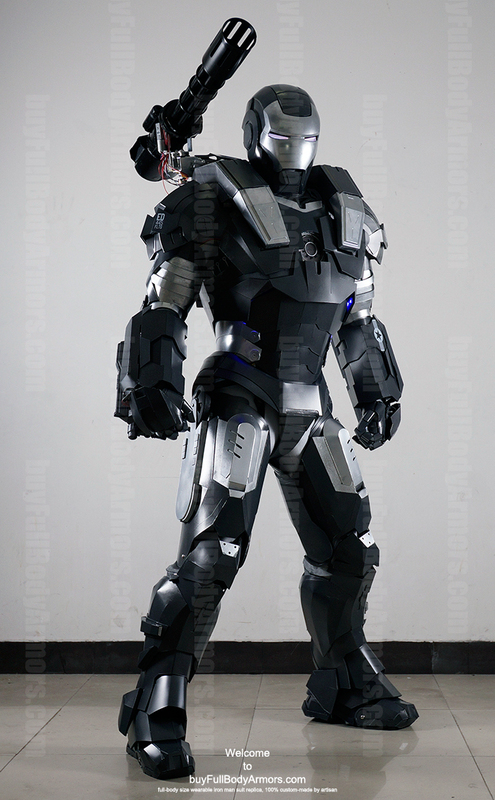 This entry was posted in News,Iron Man War Machine Suit Wearable Armor Costume R&D Full History,Iron Man War Machine Suit Wearable Armor Costume R&D Milestones and tagged War Machine armor,War Machine costume,War Machine suit,War Machine helmet,wearable War Machine armor,wearable War Machine costume,wearable War Machine suit,wearable War Machine helmet,buy wearable War Machine armor,buy wearable War Machine costume,buy wearable War Machine suit,buy wearable War Machine helmet on Apr 06,2015.